These three select individuals represent the best in leadership and personal effort, demonstrating their commitment to excellence and their critical role in missile defense. They are an inspiration to their subordinates, peers, and superiors. 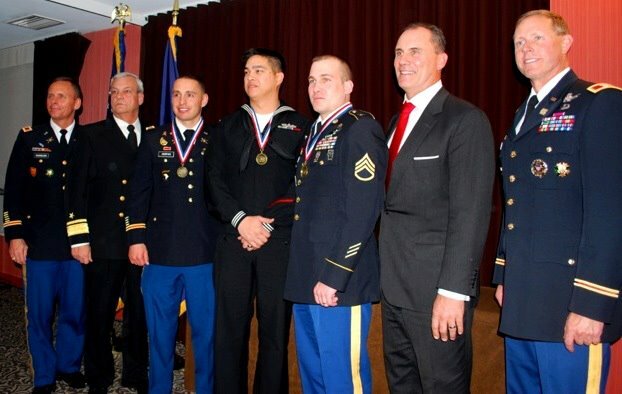 The sincerity, heartfelt passion, awe of appreciation, self humility, and love of missile defense was on full display as these young men were recognized as heroes in the unsung field of their profession for all they do for our nation. Captain Will Andrews, Fire Controlman Second Class Petty Officer Mathieu McIntosh, and Staff Sergeant Craig Davis are three men that lead by true excellence, which is contagious to their units, teams, and commands. Their future is our future as a nation, a military, and a missile defender; upon their shoulders lay responsibilities that match expectations to achieve much more greatness than what they are recognized for this past year. ?